On the 21st | 22nd | 23rd February 2018, we return for the 3rd year with our annual event celebrating the inspiring underground culture of Old Skool & Jungle music. 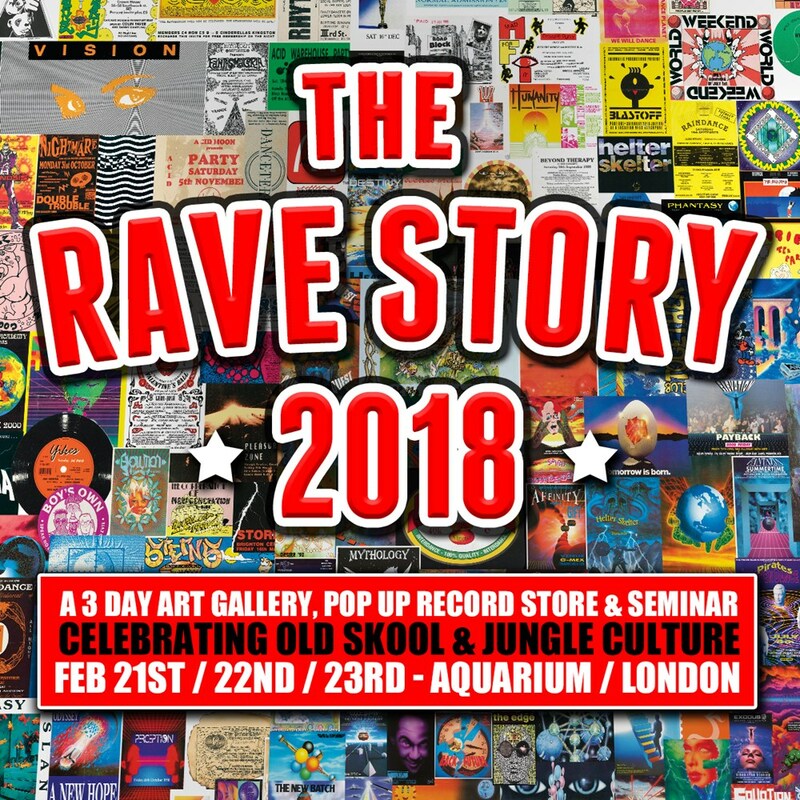 Pez & Junior Tomlin will be auctioning off their 1st ever canvas together made exclusively for The Rave Story 2018. The money raised will go to Centre Point. * Rave Authors corner with a number of authors from the various rave inspired books over the past 25 years. FREE Entry to the Records store & Gallery from 11am to 6pm each day. 12pm to 3pm each afternoon, learn everything you ever wanted to know about DJing, MCing and running a record label. 7pm to 11pm each evening including licenced bar and rave themed menu and cocktails, featuring talks from some of the most influential characters of the Rave scene. Wednesday Seminar (Original promoters and focus on lost venues). Thursday Seminar (Pirate radio. Tales from the tower blocks). Friday seminar (Artists, from then to now). MANY MANY MORE TO BE ANNOUNCED!! !